Now we can plan in real time. We can see sales ratios in the branches and track performance year over year. That’s a big win because it’s given us better visibility into the business. First West Credit Union has grown to nearly almost $11 billion CAD in assets, with 54 branches and nearly 250,000 members. Today with the Adaptive Insights Business Planning Cloud, the credit union’s planning process is quicker and easier, and encompasses branch-level P&L planning. Treasury system data is also utilized to calculate the net income across all of its financial products. First West Credit Union offers the financial strength, comprehensive product selection, and extended branch network of a large financial institution, while maintaining local branch identities and a unique grass-roots approach to service. The third-largest credit union in British Columbia (BC) with almost $11 billion CAD in assets, First West Credit Union operates 54 branches and serves nearly 250,000 members throughout BC under the Envision Financial, Valley First, Enderby and District Financial, and Island Savings brands. Since its establishment in 2010, First West Credit Union has been on a mission to embrace innovation and process improvement. Driven by a commitment to keep it simple both internally and externally, First West is guided by a lean mindset that enhances employee and member experiences. Growing exponentially through mergers, First West is now the third-largest credit union in British Columbia. Today, it has almost $11 billion CAD in assets, 54 branches and nearly 250,000 members. It also incorporates an innovative business model that maintains regional brand identities while offering a financial services approach built around local decision making. Over the past several years, financial institutions have experienced unprecedented, prolonged financial margin pressure. To remain competitive, First West must operate with a cost-sensitive focus. The credit union also must be able to swiftly access critical data and make fast decisions to better serve its growing membership. It’s a tall order—and until recently it was mostly aspirational—because to keep up with rapid growth, First West’s FP&A team had to devote considerable time and resources incorporating new entities, maintaining systems, and scaling the business. Planning was cumbersome and static, involving limited collaboration with outside departments as staff managed 300+ Excel workbooks across the organization. The process was considered drudgery by many and put the company’s financial objectives at risk, with spreadsheets prone to broken links and the lack of version control causing data integrity issues. Financial reporting was burdensome, too. Batch reporting was managed out of First West’s ERP system, resulting in a whopping 1,000 financial reports every month. Further, while the ERP system collected huge quantities of data, FP&A staff didn’t have the time or the tools to efficiently analyze the information to help improve decision-making and drive business value. In short, First West had outgrown its former processes and needed to change to enable finance members to add optimal value to their organization. With competitive advantage hanging in the balance, First West executive leaders turned to Adaptive Insights for a CPM (corporate performance management) solution to transform its planning and reporting processes across the organization. Roll out and adoption of the system among finance and non-finance users was rapid. “This is the smoothest adoption of a system in finance I've ever seen from the end user perspective”, said Michael LaPierre, Director of Financial Planning and Analysis at First West. Now, with automated budgeting, reporting, analytics, and data integration, it has an active planning process that results in better decisions and greater visibility into business performance. Today, First West’s planning process is quicker and easier with much better detail and insight. Branch-level P&L planning is critical and encompasses operational expenses and revenues. Actual data from the treasury system that manages all of First West’s products is also loaded automatically into the software, so it is much easier to plan the financial margin at the branch level and calculate the net income across all financial products. Budgeting is also streamlined and is much more collaborative and transparent between FP&A staff and managers. The FP&A team tracks what is happening in the budgeting process, while improving access to plan and actuals data for managers through self-service reporting. And, because it is easy for managers get a clear and more real-time view of how they are performing against the plan, they can proactively and easily validate and monitor information and course correct earlier if they see unexpected results. In addition, the FP&A team depends on Adaptive Insights for improved management reporting. The system makes it easy to drill into and filter transactions from the ERP system that executives want to see, including invoices and expense claims, and then generate self-service reports on-demand with just a few clicks. According to LaPierre, he and his team have retired and replaced nearly all of the 1,000 batch reports in the ERP system with just a few dozen reports in Adaptive Insights. 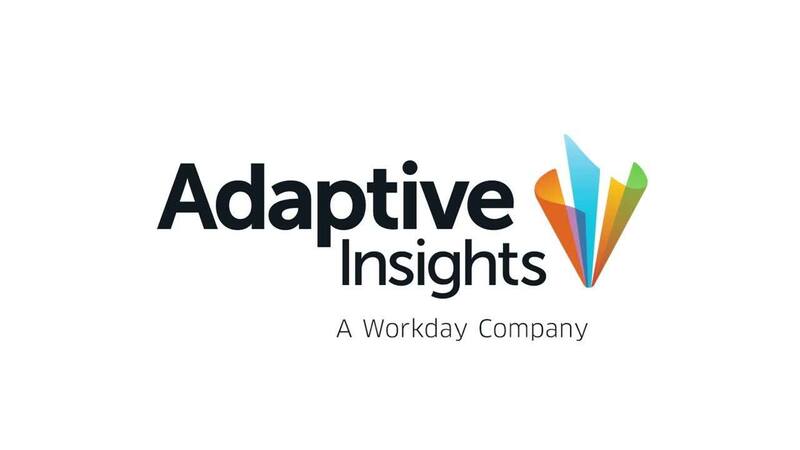 Adaptive Insights has given our finance team the tools to better support the business and be insightful and proactive.